McCloud’s, makers of fine wool duvets, is based in the historic village of Chrissiesmeer. Occupying two of the most historic buildings in Chrissiesmeer, Thorpe's Shop (1900) serves as our factory and Bothwell Mill (1880) is used as our factory shop and as the café. McCloud's reflects something of the atmosphere of this village of a bygone era. Out of the romantic setting in one of the major wool producing areas in SA we bring you our products to enhance your lifestyle even further. 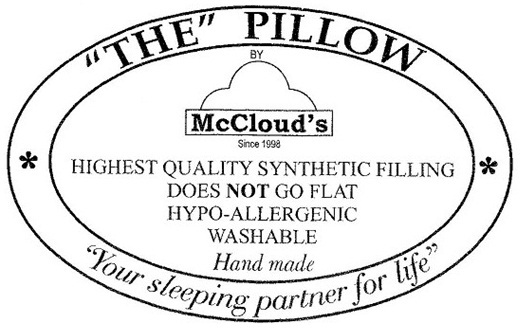 Only 100% pure virgin wool is used in McCloud’s wool duvets and only 100% pure cotton is good enough for the casing. To make sure the wool stays firmly in place and to give the duvet its plush, luxurious look, the entire product is hand-knotted. Wool is a natural fibre which regulates the body's temperature. It is cooler in summer and warmer in winter. Wool is renewable, hypo-allergenic and ultra light. Wool can absorb moisture and is naturally dust mite free. Wool prevents the buildup of mould and dew in bedding. Wool won't break, shift or mat. Wool can absorb up to 30% of its own weight without feeling damp due to the unique cellular arrangement in each wool fibre. This results in a comfortable sleep and has added benefit for people with arthritis, rheumatism and other muscular problems.